Feel the "Magic" of "One Click" @ eTravelSmart. 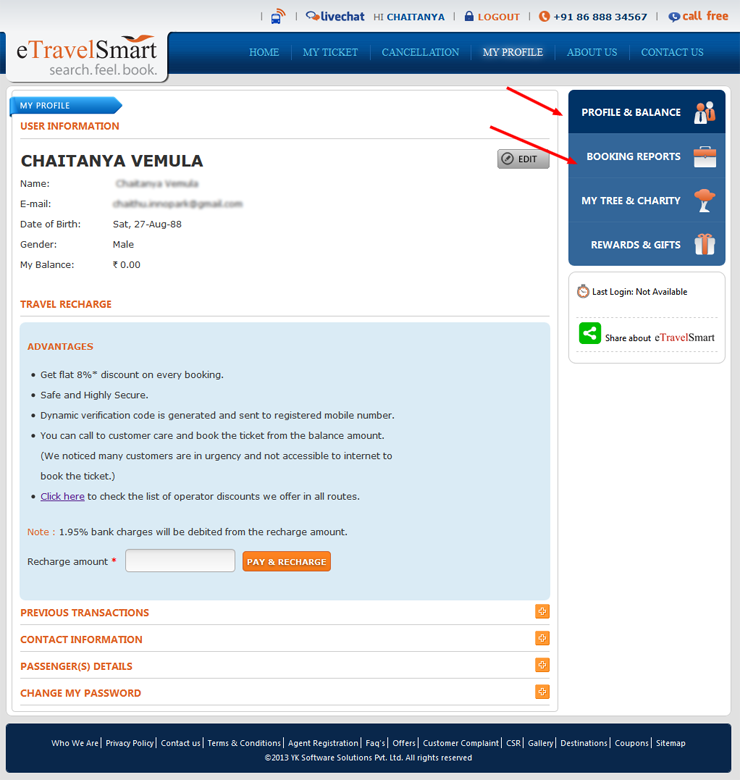 Once you have successfully created your account with us, everything that you transact on eTravelSmart will be captured for your immediate reference at any point of time. Just Login and get access to amazing options like Booking History, Cancellations, Refunds, Payments done, etc. Your account is managed in the most secured way to ensure confidentiality & privacy of your data/information. Even incase of forget password/login issues, a secured SMS is sent on to your registered mobile number for immediate addressal of such issues. Check out Your bus ticket details, reward points, Travel Recharge Balance, Number of Tree planted and many more by using My Profile Segment.